My family loves pulled pork in pretty much any combination–from plain oven roasted to smothered in some sort of “friendly sauce” and everything in between. I love it because it feeds the family and provides great leftovers for everyone’s lunch. My kids love it because it’s both yummy and “easy to chew.” Win. Win. Ever since Leigh shared this incredibly easy and scrumptious way to make pulled pork, I always start there. My staple sauce is usually Son of Grok’s famous barbecue sauce, but this time I was out of tomato paste. After a bit of research, I learned about many types of barbecue sauce from different regions of the country. Since I just moved back to North Carolina, an Eastern Carolina barbecue sauce was in order! It turned out to be an easy meal that tasted like I slaved all day over it. Enjoy! In a small saucepan over low heat, whisk together mustard, and vinegars. Stir in spices, liquid smoke and honey. Simmer on low for 10-15 minutes. Pour over cooked pulled pork (mine nicely covered 2.5lb of pork tenderloin) and serve! Can’t wait to try this, Heather!! Miss you! Wish we could have afternoon coffee… so many changes, so little time. Yea! 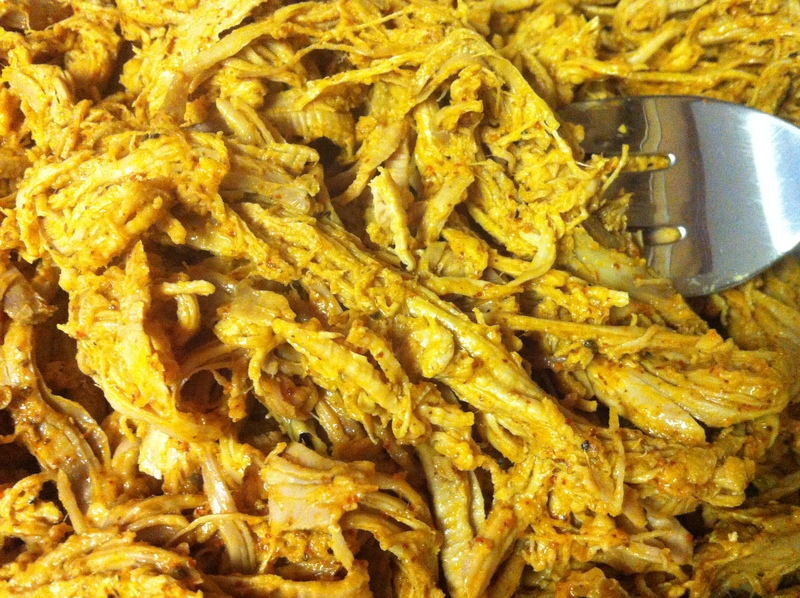 I already have pulled pork on the menu for tomorrow, so I’ll just make this sauce too! Thanks for sharing!